On Long Island and across America, opioid and other drug overdoses are killing people - our neighbors, friends and loved ones - in unprecedented numbers. 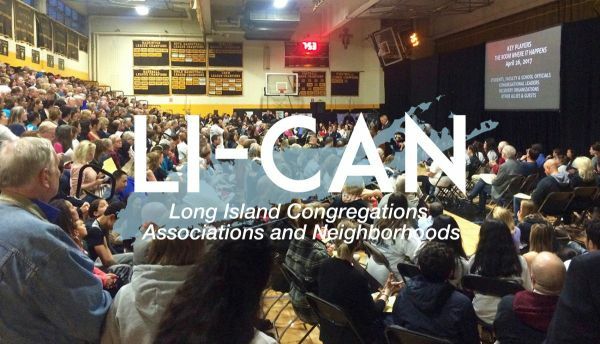 LI-CAN (Long Island Congregations, Associations and Neighborhoods) leaders have been asking Governor Cuomo and his administration to prevent overdose deaths by removing the barriers to evidence-based opioid addiction treatment. After six months of pushing, it’s time to evaluate. On October 28, LI-CAN will issue progress and performance reports for the Governor Cuomo & State Agencies, County Leaders, Hospitals & Medical Leaders, Insurance Companies and Religious Congregations. To RSVP or to get more information, please contact LI-CAN Organizer, Joe Morris.